The Victor Console Table is a new addition to the Robert Langford range. Featuring a hand-painted, distressed metallic finish and an antique mirrored surface, the design also includes a matching mirrored shelf. Place large, decorative floor vases and jars on the shelf. 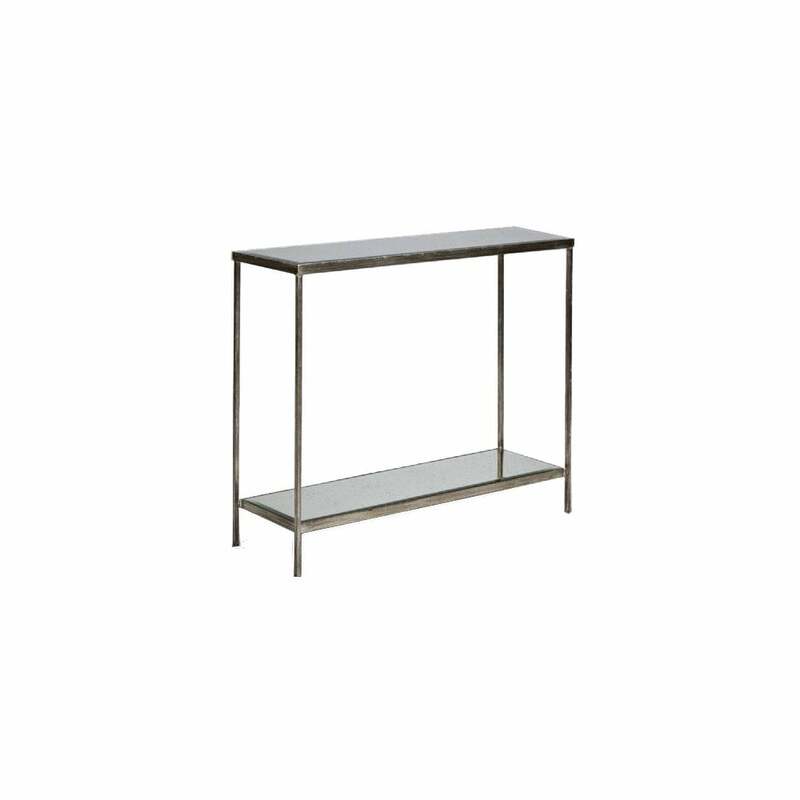 Ideal for tight spots, this console table will add a touch of luxury to a hallway or landing. Add height to the top with a complementary table lamp and flowers. Display frames, prints and design books for a personal touch.